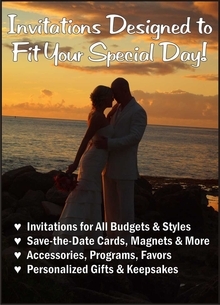 VISIT OLSEN GRAPHICS for Wedding Invitations, Printing, Ad Specialty Items and Personalized Photo Art. Welcome to Lighthouse Gallery & Gifts! Open Tues. thru Fri 11-5; Sat. 11-4 and for special events. 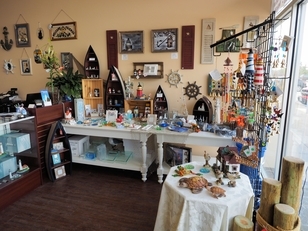 Welcome to Olsen Graphics LIGHTHOUSE GALLERY AND GIFTS where you will find UNIQUE treasures for the lighthouse enthusiast as well as all kinds of LOCAL MERCHANDISE and UNIQUE GIFTS for all. 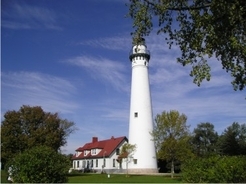 We feature many different Wind Point Lighthouse (Racine, WI) photos and gifts. Our GALLERY features photography by SCOTT D. OLSEN, MYEYES PHOTOGRAPHY as well as items by other local artists and craftspeople. We create personalized gifts and keepsakes using photos and logos and invite you to view our Personalized Gifts at our retail location. Please Note: The photo above depicts only a small section of our store. If you see something in this picture and it is not listed in the online store, please check with us for availability. WEDDING - EVERYTHING FROM SAVE-THE-DATES TO INVITATIONS, ACCESSORIES, UNIQUE GIFTS, PERSONALIZED FAVORS & ATTENDANT GIFTS! Please complete the contact information to be added to our mailing list.